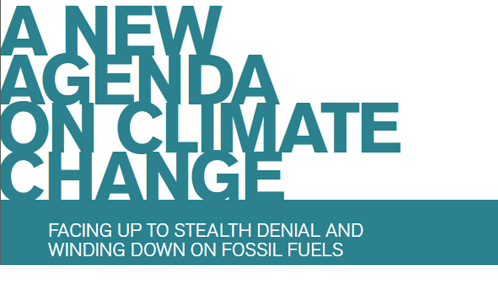 The report “New Agenda on Climate Change”, written by the RSA’s Social Brain Centre, calls for a reframing of the climate change debate to get away from vested interests, political paralysis and civic ambiguity. The problem is not that people do not understand the seriousness of the climate change problem, but the problem is the denial of the commensurate feelings, responsibility and agency that are necessary to deal with it” the report argues. Based on a poll of 2024 British adults the reports find that economic growth is a priority even though climate change is the result (61 percent of those asked), and few of those asked were thinking that their actions were part of the problem (37 percent of those asked). This call for shedding light on causes and impacts, competing commitments and goals, agency, leadership and responsibility. The report argues that the moral imperative to act may not be a message that is for everybody, but it is more about reaching those that have the courage and initiative and support they need to do something about the problem.